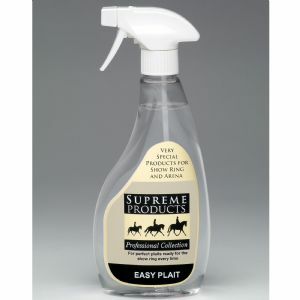 From the Supreme Products Professional Collection Easy Plait aids plaiting and then helps to keep them looking pristine. Supplied in a 500ml bottle with trigger spray. A must have product- the original plaiting aid!